Elite Air Climate Control is an Australian owned and run airconditioning company in the heart of Sydney. We specialize in domestic and commercial airconditioning solutions to any situation and budget. Have a look around our website to see what services and products we provide, or call our friendly staff on 02 9666 1237 to arrange a free assessment and quote. Sydney's hot summers may be the leading reason why many people love the beaches, beautiful scenery and the fact that it attracts hundreds of tourists each year. However, with temperatures soaring to near boiling the only thing that really keeps things cool in your home and office is a high quality, fully functioning air conditioning unit. Many if not the vast majority of air conditioning in Sydney runs 24/7 during the summer in most places. Though most air conditions today are designed to put up with the stress they need to go under to deliver a cool room, the fact is that they can break down and when they do its imperative that they be repaired by an expert who has lots of experience and an in-depth understanding of that particular brand and system. At Elite Air we are one of the leading and most experienced air-con repair and maintenance experts in the city. Our experience not only spans many years but just about any air conditioning unit sold in the past 20 years. So, when it comes to trust, reliability and professionalism we are the best in the business. Why professional air conditioning installation is so important? There are many professionals in Sydney offering air-con installation services. However, when it comes to installing an air-con unit it has to be done by a professional with years of experience and there are a number of reasons for this. To start with an expert installation will ensure that your investment is protected by its proper functioning. According to experts the vast majority of problems that develop in most air-conditioning units after just a few months or years of service stems from incorrect installation or corners which are cut for one reason or the other during installation which causes problems. As a matter of fact even the slightest mistake can cause damage to the unit's compressor. Improper lining installation can cause the unit to malfunction after a few months while incorrect installation of the wiring can cause it to not work optimally. At Elite Air, we specialize in installing all types of air conditioning units. As a matter of fact we can also advice on where to get it installed to maximize its cooling, as well as provide solutions for apartment owners who need to install a large unit but are short on space. Our goal with every installation is to make sure that the unit operates safely and optimally. At Elite Air we also have the ability to provide high quality air-con systems to numerous residential and commercial properties across the city. We ensure that every unit we sell or supply is of the highest quality and is manufactured by a reputed company like Daikin, Actro, Panasonic, Mitsubishi or Fujitsu. When it comes to installation, we take care of everything needed. Every technician on our team is experienced and fully certified. Plus they are up to date on the latest installation methods and technologies. This allows them to undertake some of the most difficult installation tasks, especially ones that need to be done in small office spaces. As a company we strongly guarantee the quality of our workmanship and the efficiency of the installation service. All of this is in addition to a 12 warranty on everything that we install. Elite Air also offers some of the best if not the best air conditioning repair services. Compared to other services our goal with repairing an air-con unit is to find the root cause of what caused it to malfunction in the first place and rectify it in addition to fixing the problem. So, for instance if the cause of all the problems with the compressor is incorrect installation, we will make sure to re-install it correctly in addition to repairing the problem. Plus if your air conditioning unit breaks down when you least expect it to, which can usually happen when the temperature soars, we can be at your doorstep in the shortest period of time with the intention of making sure that you suffer from the least bit of down time. We take every possible measure to ensure that we arrive ASAP regardless of where in Sydney you may be located, and when we reach we try to repair almost any problem with the least bit of expense and fuss. Did you know that the vast majority of air con units may break down because of irregular maintenance. As a matter of fact this is the most common reason for air-con units breaking down, second to perhaps incorrect installation. However, many people have said that their air conditioning unit broke down despite having it recently serviced by a professional. There could be an array of reasons why it broke down despite the service it received but in most cases its improper servicing. At times professionals may make certain mistakes which shorten the life of your unit. Air conditioning repair and maintenance is a technical and complicated task that should only be undertaken by seasoned professionals like ourselves. So, it goes without saying that most breakdowns and repairs can be avoided with regular maintenance procedures performed by professionals. At Elite Air, our maintenance services are meant to ensure that all your air conditions are running as they should all the while ensuring a long service life. When we service your air condition it will by all means decrease the chances of it breaking down. Plus as professionals we understand that you may have not gotten your air-con units installed by us but we are more than prepared to regularly maintain it. Elite Air is often referred to as being one of the leaders in this industry. There is no job that is too small or perhaps too big for us. That and the fact that our services in NSW is backed by a strong 100% guarantee which gives you the peace of mind that the job is done as it should be. You can be assured that with our over 20 years of experience in this industry, you can only expect the very best from us. An optimally performing unit provides more cooling per unit of electricity consumed which obviously means that you'll be saving off your electricity bill when you either get a unit installed by us or maintained by our professionals. But this is only the tip of the iceberg when it comes to saving because we help you save a lot more. For instance, you can further save time and money by not having to get your units replaced every few years because they have become problematic. When we take your unit apart we make sure that everything is in perfect working condition before giving it our 'thumbs up', so you never have to worry about it not working for you. Plus our team of experienced engineers can fix just about any problem and we charge competitively too. Consider the fact that you are hiring experts as a price that is competitive! Our goal over the years has always been to provide our clients with the best possible service for the most competitive pricing, this is why you can expect to get the best by paying what we all agree is a fair price. All of this means that you save time and money both in the short and long term. It is also the leading reason why we are the company of choice for dozens of businesses and home owners who use our services and choose us over the competition. Let's face it there are times when getting your air condition repaired entails replacing faulty parts. These parts can range from a few fuses and lights to the compressor. However, in order to ensure that the air-conditioning unit continues to cool as it should provide years of added service life these parts need to be of a high quality. That said with so many low quality and cheap parts being available the average person cannot tell the difference until the unit they got repaired breaks down soon after. 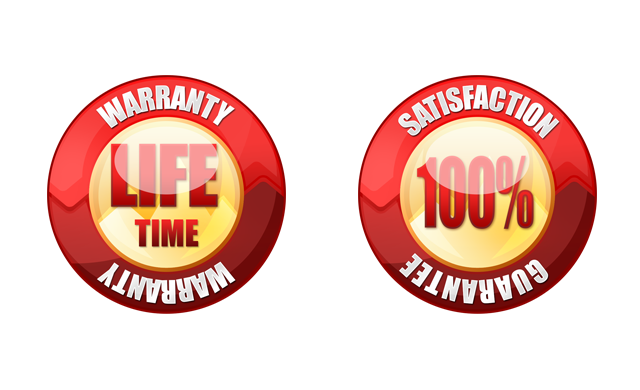 Elite Air strongly believes in only using the latest and highest quality, if possible manufacturer recommended and certified replacement parts. Though these parts may be slightly more expensive up front they do result in years of service life and the unit will cool as it was designed to. This is why we only use the very best parts and have no problem backing our workmanship with a solid guarantee. There are a number of reasons apart from all the ones above to choose Elite Air Climate Control. Over the years a growing number of people have chosen and continue to choose our service because we are reliable and professional. We have a rock solid reputation for offering customers the highest quality and best value in the way of sales, maintenance, and installation of air conditioning units in NSW. As professionals we do not expect you to help us or give us any direction, we work on autopilot with the assurance that you will get the best performance from your unit regardless of if you hire us to install an air condition or maintain one on a regular basis. Our exceptional air conditioning service has been honed and tested over the years which allows us to proudly say that what we do and how we do it, is unmatched in this industry. So, you can always trust us to deliver on our promise when you need it the most. There is no problem we cannot fix with your air condition. We are one of the easiest services to deal because of our flexibility and years of experience. We also understand things from our client's prospective and keep your best interests in mind when working on your unit. We send quotes within just 24 hours after assessing a job. We like to think that our service is highly reputed because hiring us does not entail any hidden costs. Plus we are always prompt, on time and ready to start working right away so that you never have to worry about bearing the heat until we arrive. Air conditioning in Sydney is very important regardless of if you are a home or a business owner and when it breaks down it can be extremely frustrating. Fortunately, at Elite Air, we have years of experience and our team consists of the very best people for the job. This is regardless of what problem you're facing. When you call our experts they will make it a point to be at your doorstep in the shortest period of time or at any time that you desire. If you have more than one air con unit that needs to be repaired or installed they will take a look around and we will send you a quote ASAP. If you decide to hire us we will be there and start working before you even know it. We can also prepare your air conditioning units for summer by clearing all the dust and making sure that they are ready to perform as they are expected to. This will reduce the instance of them breaking down which can cause some loss to your business's productivity. The best time to call us is as soon as possible so that we can start working on fixing your problem right away. If you are experiencing a problem with your air conditioning, need a professional to install a new unit in your home or office or perhaps just need someone to make sure that there is nothing wrong in preparation for summer than call us today at 02 9666 1237 or get in touch with us via our online form.